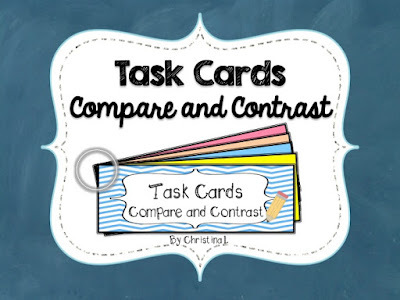 The Best of Teacher Entrepreneurs: Language Arts- "Compare and Contrast"
These task cards are larger than normal so students can work on just one card. More advanced students may complete more than one card. A "user friendly" method of displaying them is to laminate them, punch a hole in the corner and attach them with a binder ring. • Does it Compare or Contrast? Check out a preview here!